Many siblings have a special bond, but this sister act is hard to beat. 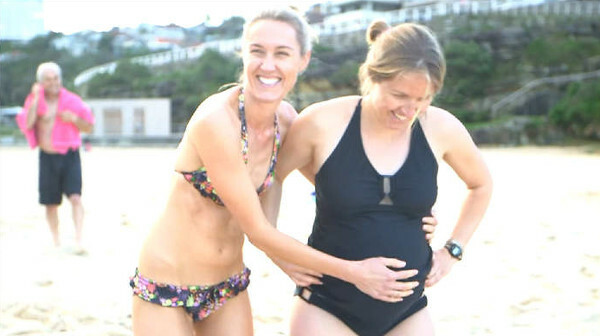 Grab your tissues for this incredible story about the journey of two Australian sisters that has given one of them the greatest gift she could ever imagine. When Amy Day was 15, she found out she had been born without a uterus, meaning she would never be able to carry a child. Though she had functioning ovaries, which meant surrogacy would be an option, she thought she’d end up adopting a baby. “Making people go through this whole surrogacy arrangement I sort of thought was selfish in many ways,” she says. All that changed, though, when she and husband Anatole actually started looking at their options for having a baby. And in an incredibly unselfish act, her younger sister, Alex, volunteered to have the baby for her. “She wanted me to experience the joy that she’d just experienced,” Amy tells SBS show The Feed. Surrogacy in Australia is relatively rare and can only be done for altruistic purposes – surrogates are not allowed to be paid other than for medical expenses. And even though the egg and sperm came from the biological parents, they must legally adopt their baby off the surrogate after birth. The video also shows the sisters post birth, coming to grips with their decision. “I’m so overwhelmed with what she has done for us. I just have so much love for her,” says Amy. “It’s a beautiful thing to have so much of Alex in our baby.” For her part, Alex says she will always treasure the special time she spent with her niece. “The moments that I had carrying her, no one can share that with me and that’s completely mine,” she says.